In pile driving technology, a prefabricated, cut-to-size pile (precast concrete, steel or wood) is lifted up and installed into ground by hitting the upper end with a hydraulic hammer. While making progress into the ground, the lower end of the pile displaces soil from around it. 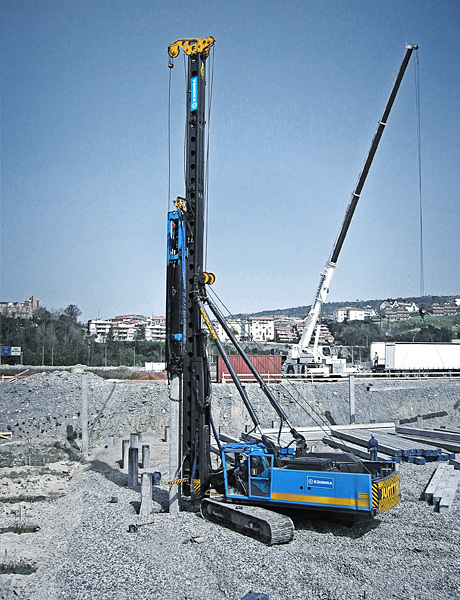 Pile driving technology is known for being environmentally friendly. Thanks to minimal hidden effects on the pile processing chain, the ecological footprint remains as light as possible. Prompt driving process without soil removal and minor need for assisting machinery further ensure both cost-efficiency and sustainability.